Vivid Sydney is the largest light Festival in the southern hemisphere and is one of the 10 most innovative Festival of the planet. 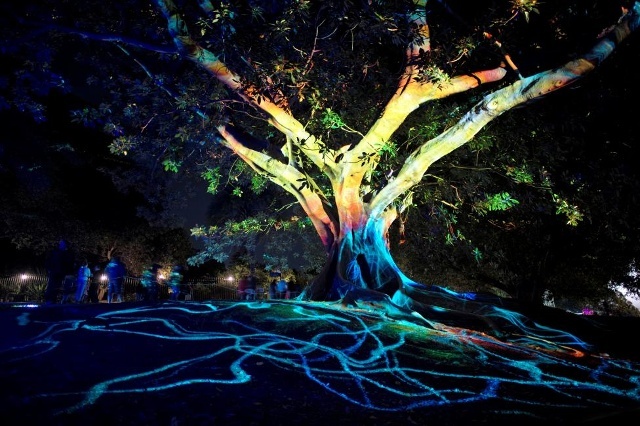 Come to this festival, you will be "voyeuristic" a party full of light colour. 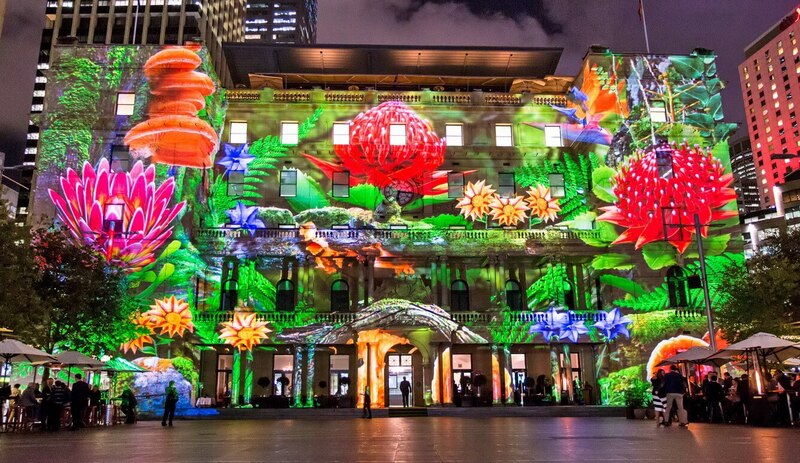 When night falls, using 3D lighting effects combine with the painting and music, has turned Sydney into the carpet color giant, sparkling magic. 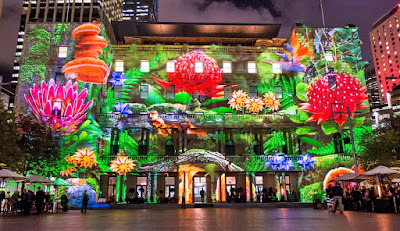 "Banquets" light Vivid Sydney 2016. To date back up, Sydney City steeped in cool winter weather of the packed "banquets" light filled with colour and the magnificent concert. This year, Vivid Sydney Festival will take place from 29/5 to 19/6 with more than 60 interactive light installation, the idea with the talented artists of the world will bring to performances of modern digital technology, unique cinematic techniques, mobile light art ... creating the magical visual effect causes tens of thousands of visitors eyes gaze will see excitement or amazement. When the sunset slowly let go, Sydney is decorated in the art of magical light. From the brilliant to the basement walls, building brief become ever more extravagant. 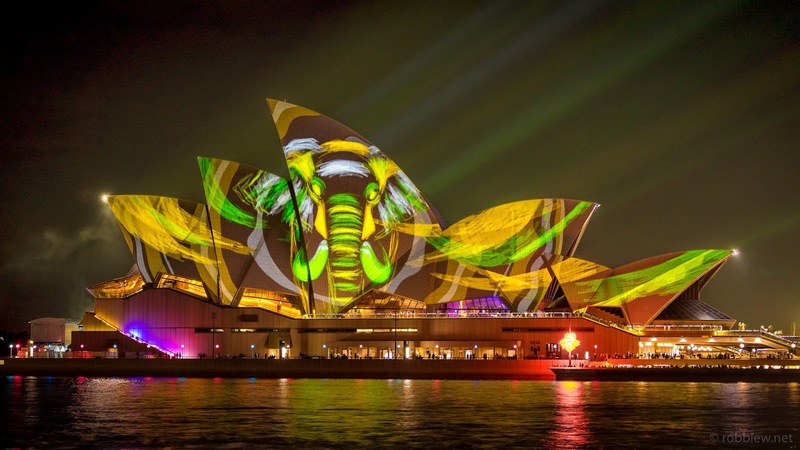 The Sydney Opera House is the center of the Festival, an art icon of the Festival of light is transmitted to millions of viewers around the world. 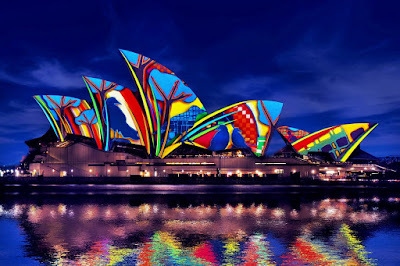 The art of 3D light reflected on the sails of the Opera House are all stories about Australian beautiful country or the famous cartoon character. 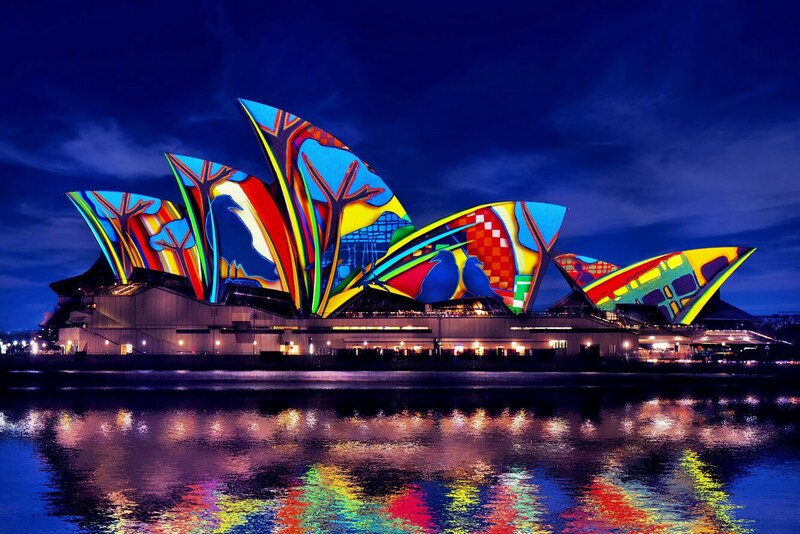 The light not only embraces on the Sydney Opera House sails that at locations such as the Church of St Marys Cathedral, façade of the Museum of contemporary art in Australia, the Town Hall, Hyde Park, Sydney, the Sydney Harbour Bridge ... will also be covered in the light class. Your hands under the technology of the "witch" leading light came from Germany, France, Poland, Hong Kong, Scotland, America, Brazil, Singapore and New Zealand have created a monumental Theatre, a dramatic Festival. Besides, Vivid Sydney is also the colourful music party with multiple streams of music from the concert to the indie-rock line, folk-rock, techno, hip-hop's vibrant ... Through 8, organization, Vivid light Sydney Festival event is to be expected, not only of Australians, but also the four directions international friends. 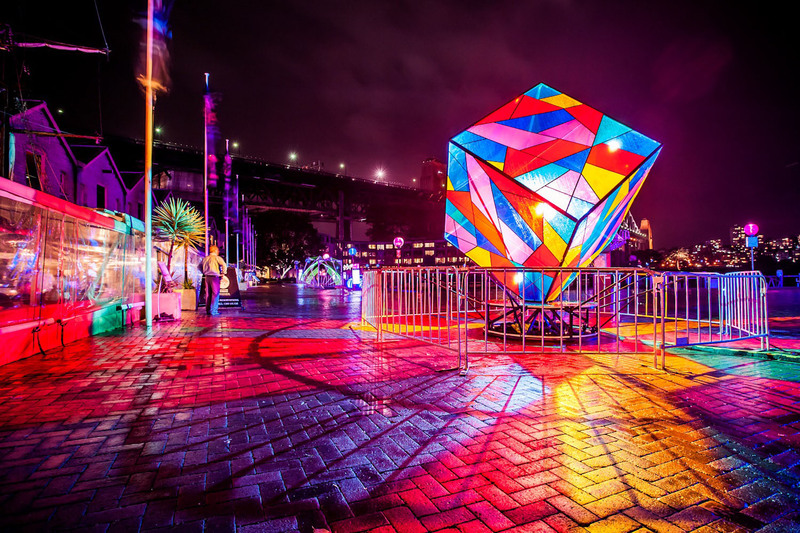 If brilliant night at Sydney on "light party" Vivid, then during the day, the city brought the beauty of the dynamic and modern. 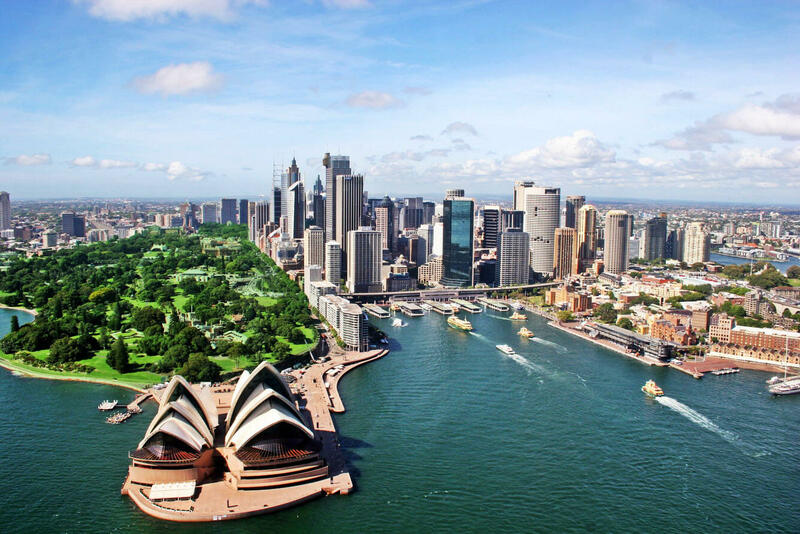 You can walk around, enjoy a drink in the bar and admire the panoramic view of the harbor of Port Jackson, Sydney Harbour Bridge or explore Darling Harbour entertainment area with many attractions, entertainment, movie theaters, restaurants, night clubs, casino and Conference Center , events ... 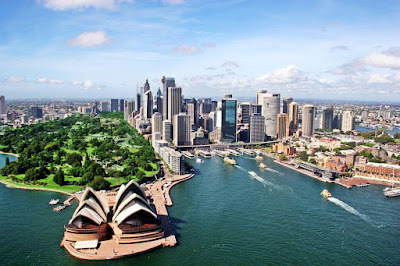 In addition, you also do not miss the opportunity to visit the Sydney Tower taller than 300 metres and from here can see the panoramic view of the beautiful Sydney, or zoological garden with many kinds of native animals such as bears kaola, crocodile, Kangaroo, ostrich and water park in Darling Harbour is also an ideal stopover. If you want to explore Sydney in a special way, driving out the peaceful suburbs to drop spirit where vineyards and breathe in the fresh atmosphere will bring you comfort relaxation moments. All will be difficult memories fade about the Sydney Harbour City familiar but strange States very close traveler crush right from the first touches the lane.